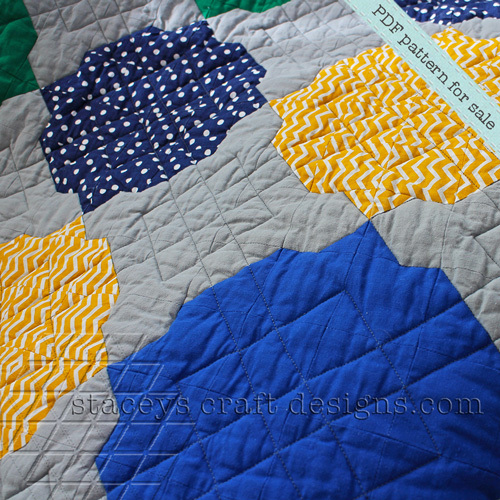 This quilt has a great use of squares, half square triangles and flying geese. By the shape they create together and with their layout they give the quilt the Moorish look you can see in the tiling found in the Alhambra palace (Granada, Spain). 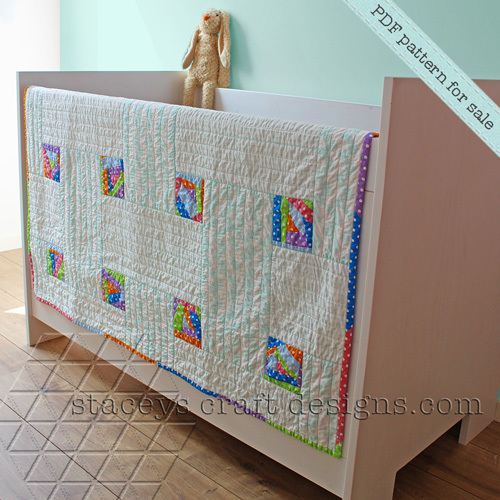 The finished design looks more difficult than it is to make it. 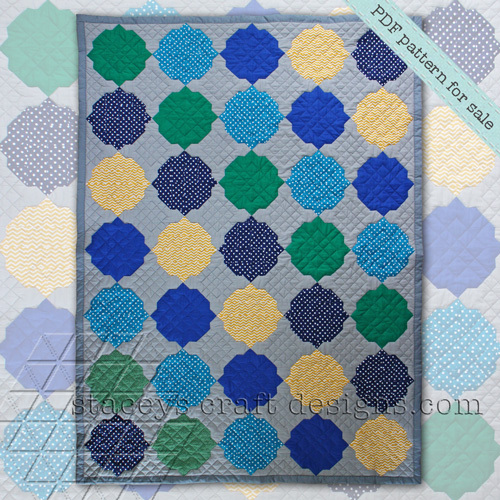 For the dots you can use all sorts of print fabric, but make sure there is enough contrast between the background and the dots. 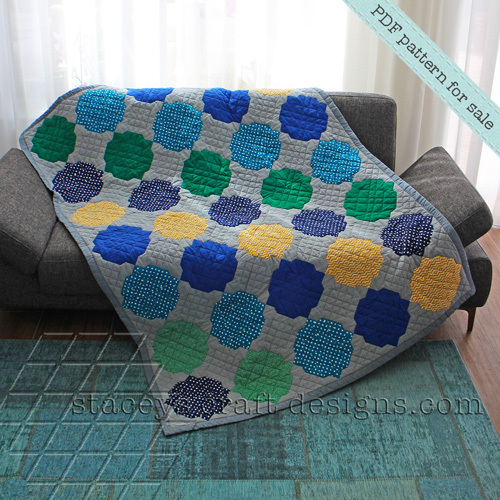 This pattern with instructions contains a throw size quilt. In addition to the colour combination in the picture, I have added two colour suggestions. 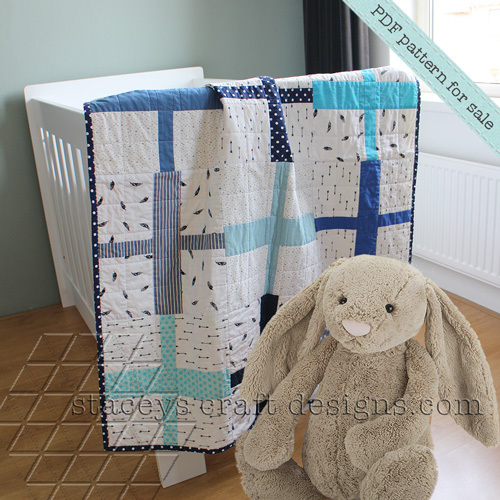 As a bonus I’ve added a double and king size version of this quilt, with their own colour suggestions. 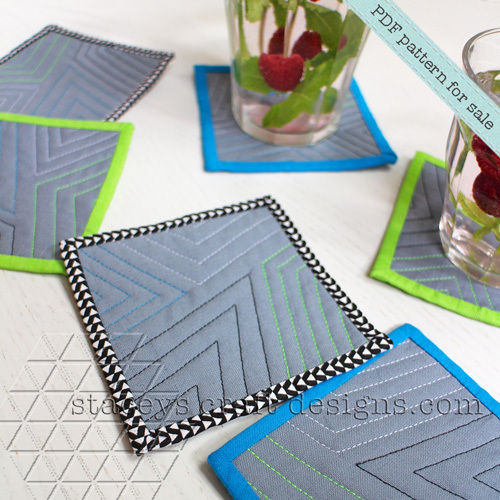 To try out your own colour combination, you can nd colouring stencils for all three of the quilt sizes in these instructions. 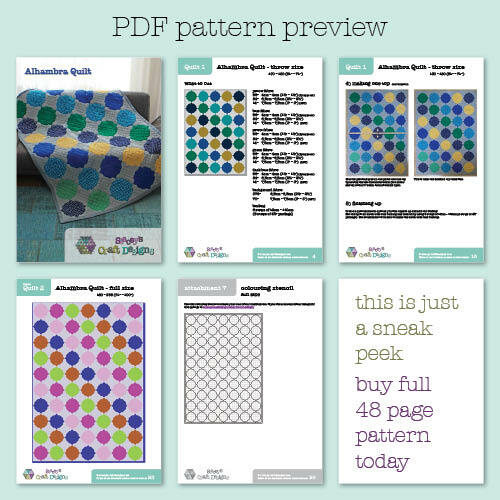 Buy the PDF pattern via my website for the best price. 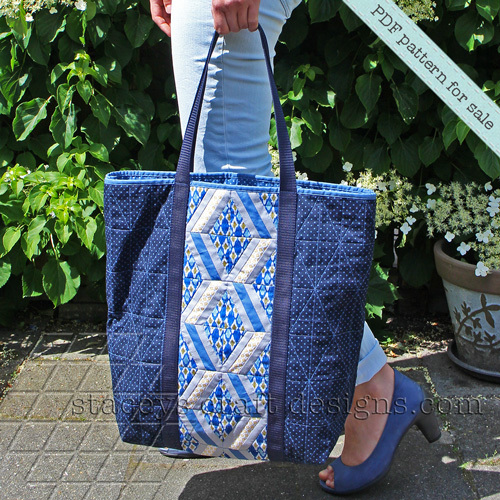 Safe and easy via PayPal. 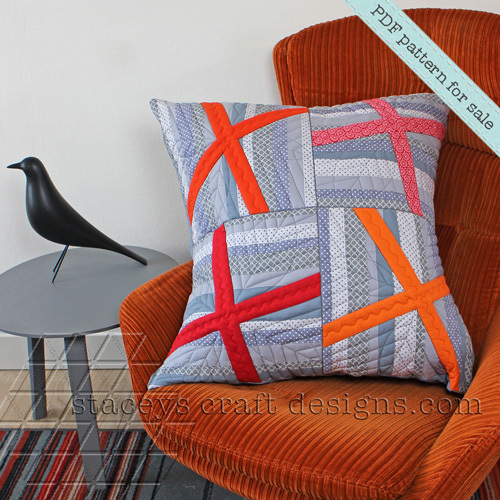 Note that the prices at Etsy may differ due to the exchange rates. 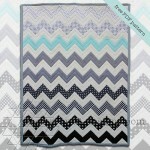 Sign up today and receive my FREE Chevron Quilt Pattern.